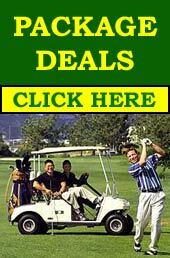 Golf and Car Hire Spain and Portugal: Alicante, Malaga, Portugal. SPECIAL DISCOUNT ON GOLF GREENS!! When you rent a car with Golf and Cars, you will get special dicount offers at all Golf Greens at the Costa del Sol! Click here to see the full list of Golf Greens and their Special Offers for our clients! Golf and Cars was created with one main objective; to offer its clients the best vehicles with the best service at unbeatable prices. Why pay more when Golf and Cars offers MORE THAN THE REST CHEAPER THAN REST? The prices shown, are final prices. This means No hidden charges. When you reserve with our company you will not pay for any extras, with of course fuel the only exception. Fuel is paid for upon collecting the vehicle. This means that your quotation includes baby seats, roof racks, extra drivers, fully comprehensive insurance, etc. Is there any more peace of mind than driving a secure vehicle and at the same time being completely insured? Our insurances have no excess with the exception of damage caused to tyres or wheels. We offer a FREE Airport Service! With offices at Malaga, Alicante, Valencia, Sevilla, Almeria, canary Island, balearic islands & Murcia Airports, you don't have to worry about getting to your car or your car hire company's office... as we will deliver your car to you these Airports!! One of our biggest advantages is that at Golf and Cars we have made sure that we only deal with the best Car Rental suppliers, which at the same time, means you will receive only the best service from dedicated companies with many years of experience and highly qualified multilingual staff. New and totally serviced vehicles, with an average age of 6 months are the best guarantee to assure that your vacation in Spain is trouble free. And what happens in the unlikely event of you experiencing problems with your rented vehicle?, YOU DO NOT HAVE TO WORRY about anything!, Golf and Cars, in conjunction with their suppliers, are willing to solve any inconvenience that may occur. Extensive opening hours will permit you to take your car at the airport at any time of the day, 365 days a year. After all the above mentioned, do you think is there any reason why you should reserve with anyone but Golf and Cars? The wide and large fleet that our suppliers posses, allow us to have free sales of any small vehicles, even 5 minutes before your rental on any working day. Higher groups will be confirmed on request. At the same time, the high vehicle range, will permit you to choose from the basic utility vehicle, such as the Ford Ka or Opel Corsa, through to medium class such as the Ford Focus, Fiat Brava, direct to prestigious cars like BMW, MERCEDES, AUDI, etc. also offering a large variety of cabriolets and people carriers up to 9 seaters.